We tried to savor every bite of our last dinner in the city, without needing to cut up food into tiny pieces, clean off high chair trays, or listen to the complaints of a picky eater. 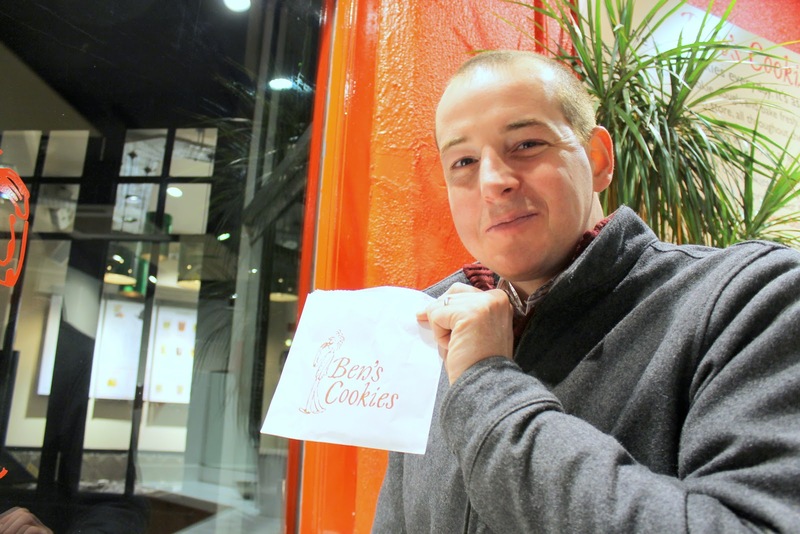 But when we walked by Ben's Cookies, a "biscuit" shop on Carnaby Street in London, we grabbed each other's hand and went right in. If you happen to know Big Arrow's name, you'll know why we couldn't resist (and if you don't know his name... well, you do now!). And a chocolate chip cookie has never tasted sweeter, knowing that we were heading home to see our boys the very next day. Love how they are called "biscuits":) So excited for you guys! Hoping that everything is coming together for you guys as the move is quickly approaching!